- Arkadelphia's teams both head into tonight's games on win streaks as the Lady Badgers have won 2 4A-7 games in a row and the Badgers have won 4 in a row. The Arkadelphia High School basketball teams will head to Mena to wrap up regular season play tonight as they will face the Ladycats and Bearcats on Senior Night. The Lady Badgers and Ladycats will tip off at 6:00 with the varsity boys game to follow. There is no JV game tonight. 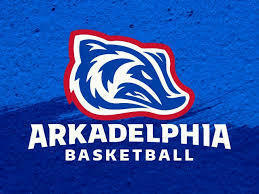 Both games can be seen on www.arkadelphiabadgertv.com/broadcasts or the Mascot Media app. Both teams head into tonight’s game on winning streaks and look to carry their momentum into post-season play. The Lady Badgers have won two consecutive conference games with an overtime home win over Nashville last Friday night and a 34-25 road win at Hope Tuesday. The Lady Badgers are most likely going to be the 6thseed in next week’s 4A-7 District Tournament and would face the Hope Lady Bobcats Monday afternoon at 4:00. There is an outside chance that Arkadelphia could move up to the fifth seed, but that would require a Lady Badger win over Mena tonight combined with a Bauxite win over a De Queen Lady Leopard team that stands atop the 4A-7 with a perfect 11-0 record. The Lady Badgers got the run started on Senior Night from senior guard Jamari Whitaker, who scored seven straight points in the third quarter giving Arkadelphia a spark down the stretch. The Lady Badgers then were able to outlast the Scrapperettes in overtime, sending Whitaker and her fellow seniors Hanna Fenocchi and Mary Jane Adame out on a winning note in their final home game as Lady Badgers. The story for the Lady Badgers down the stretch will be shooting and taking care of the ball. Arkadelphia has been in games many times this year, but has let one bad quarter determine the outcome of the game. The Lady Badgers will also look to capitalize on open looks that they’ve seen to this point this season but haven’t been able to capitalize. A young team, the Lady Badgers have one junior and 11 sophomores on the roster to go with the three seniors. For the Badgers, it has been a four-game conference winning streak that has solidified the boys as the second seed in next week’s District Tournament. Arkadelphia is currently 8-3 in the 4A-7, one game behind Mena which sits at 9-2. The Bearcats would most likely have the tiebreaker over Arkadelphia if the two end up tying by virtue of the Bearcats’ big win at Arkadelphia last month. Regardless of whether the Badgers finished 1st-seed or 2nd-seed, the result would be the same as both of those two places get a bye into the semifinals of the 4A-7 District Tournament and an automatic spot in the 4A South Regional which will be Feb. 20-23 also at Mena. The Badgers secured that spot with Tuesday night’s 64-49 win at Hope, a game that saw Arkadelphia get out to its second consecutive fast start to a game. Against the bobcats, Arkadelphia jumped out to a 20-2 lead in the first quarter and withstood a three-point barrage from the Bobcats to maintain the double-digit lead for most of the rest of the game. Three nights earlier, the Badgers put together one of the best shooting efforts seen by many in one quarter of play as they jumped out to a 31-13 lead after the first quarter against Nashville on Senior Night. In the quarter, the Badgers were six of seven from three-point range, five of nine from inside the arc and added three free throws and more importantly got that offensive production from all five players on the court. Staying hot tonight against the top team in the league in the Bearcats will be necessary for the Badgers to have a chance at a victory. Below are the current standings going into Friday night’s regular season finales along with the brackets for next week’s 4A-7 District Tournament at Mena. A few of the seeds are set as of right now and those are filled in to their respective game slots, but the complete bracket will be set after tonight’s games.